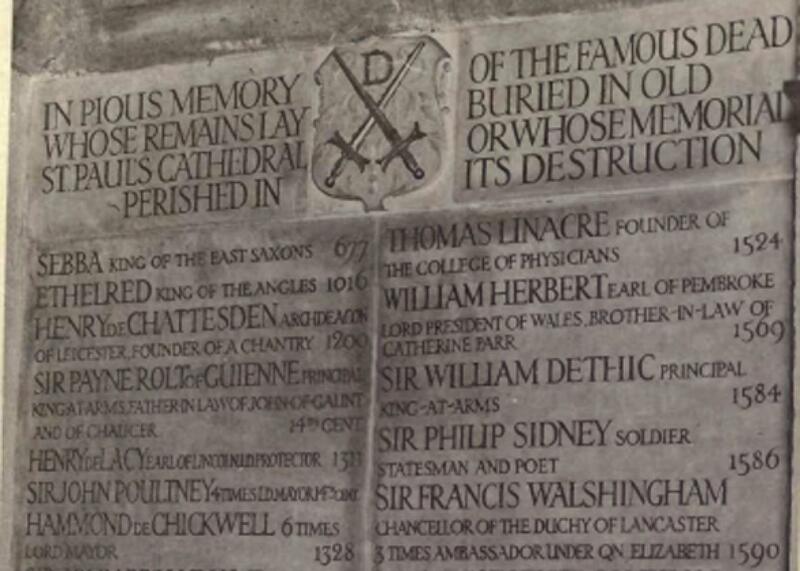 In Memoriam: those we lost in 1016. A memorial to the memorial to Æthelred the Unready, among others. The original was destroyed in the Great Fire of London. The ebb and flow of human life may be eternal, but this year brought more ebb than flow, as nearly every day of 1016 brought news of the death of another beloved celebrity. Last year wasn’t exactly a cakewalk—we’re all still sad about Æthelmær the Stout—but 1016 seemed worse, somehow. Maybe that’s because the rest of the news was always so surprising and so terrible. Whether it was Mansur ibn Lu’lu’s headlong flight from Aleppo, the ignominious defeat of Khazaria’s Georgius Tzul, or even Emperor Sanjō’s shocking abdication of the Chrysanthemum Throne, the political turmoil made each loss hit a little harder—and that was before the unfathomable rise of the buffoonish Cnut! At times, it seemed like everyone we cared about was dying (can someone please check on Elvira of Castile? ), and the year would never end. But the ball finally dropped in Lenapehoking and we made it to the New Year, even if so many of our brightest stars couldn’t be with us. 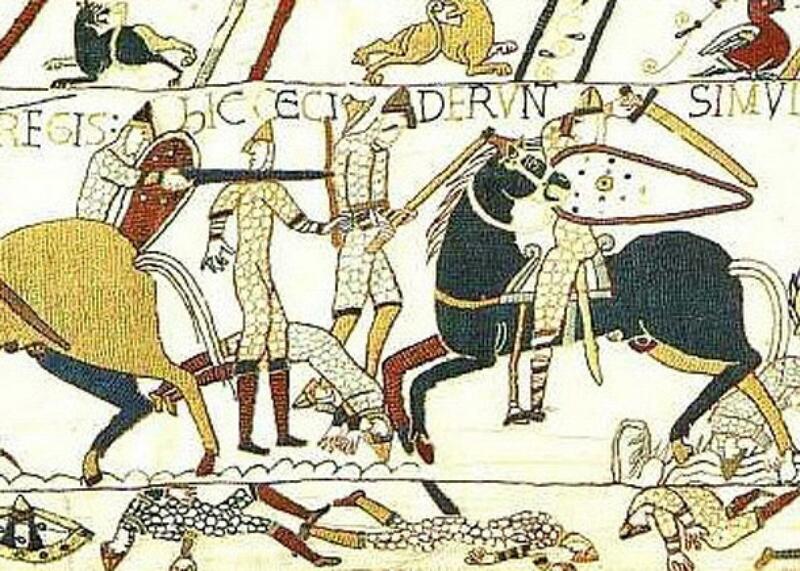 Here are some of the famous people we were forced to say goodbye to in 1016. 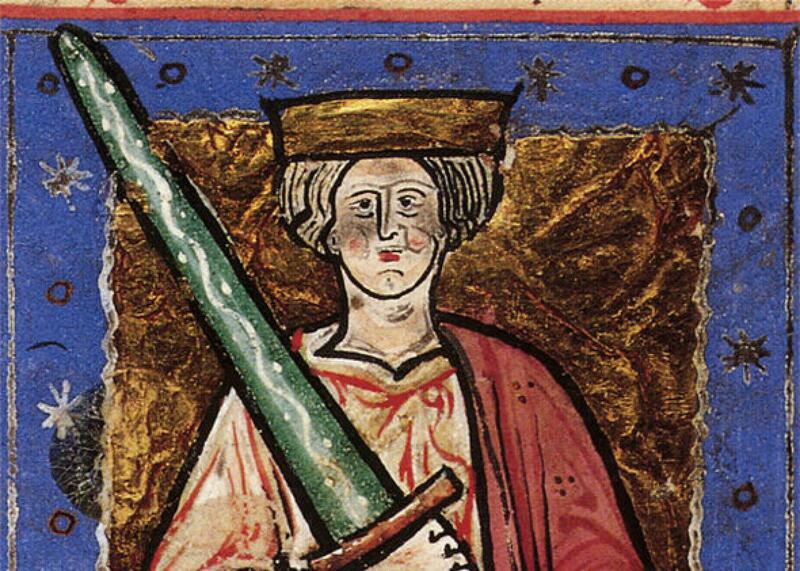 Æthelred with his famous green sword. More than anyone else, the year was defined by the sudden loss of Æthelred the Unready, the king whose legendary feud with Sweyn Forkbeard and his upstart son Cnut fascinated us for years. Whether we were shaking our heads at the enormous Danegelds he paid, applauding his decision to order the massacre of every last Dane in England, or wondering what the heck he had against the Kingdom of Strathclyde, we couldn’t stop talking about Æthelred. It may be true that his rise to power began with the murder of his brother, Edward the Martyr, but in the wake of his sad death this April, we’ve got no time for the haters. Instead, let’s remember Æthelred the way Gunnlaug the Worm-Tongue did: as the kind of guy who would give a traveler “a scarlet cloak lined with the costliest of furs” just for singing a nice song about him. That’s the Æthelred the Unready we loved: ready with a smile, ready with a laugh, ready with a scarlet cloak. We’ll miss him. Paparazzi sculptors never caught the notoriously chisel-shy Badis ibn al-Mansur, so here’s his grandfather, Buluggin ibn Ziri. His official name may have been Abu Manad Badis Nasir al-Dawla, but he was always “Baddy” to us. 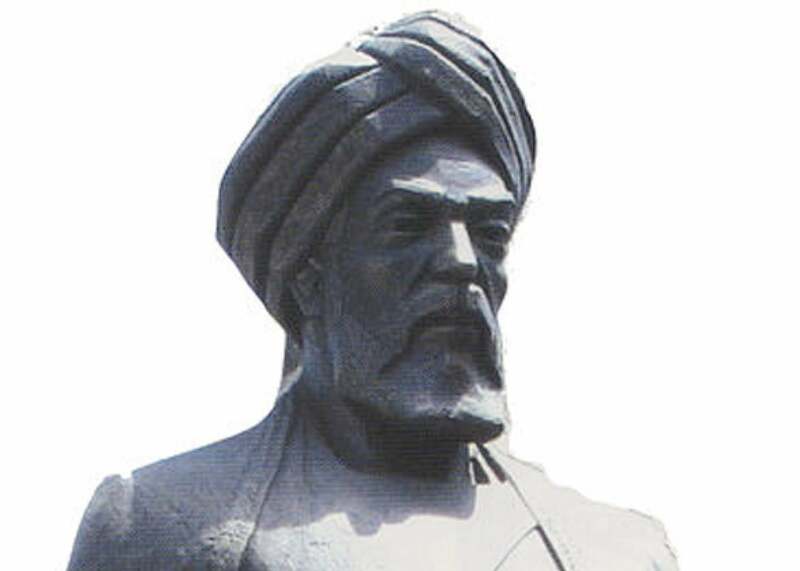 Badis was a man of contradictions: so high-class he could impress the Fatimids, but down-to-earth enough to party with Ibrahim “wine, women and song” ibn ar-Raqiq. In his too-short time among us, he was a role model for children everywhere, teaching them to believe in their wildest dreams, even if they were as crazy as rising to the viceroyalty of Ifriqiya. (As long as the child in question was the eldest son of a member of the Zirid dynasty who kept his nose clean with the Fatimid Caliphate.) Zawi ibn Ziri may style himself ruler of Granada, and Hammad ibn Buluggin can blather all day about the so-called “Hammadid dynasty,” but we all know which branch of the Zirid family was really royalty. Rest in peace. Eddie giving his famous thumbs-up. Has any family borne as much sorrow as the House of Wessex this year? 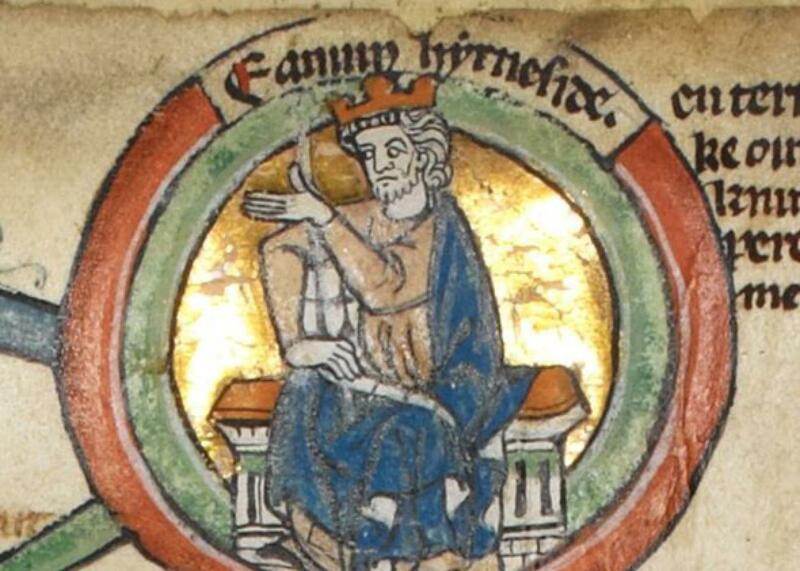 By rights Edmund Ironside should have had a quiet summer mourning his father Æthelred, followed by a smooth transition to the throne he’d waited for his whole life. Instead, he was forced to lower himself to the level of short-fingered vulgarian Cnut, a man no one thought would ever be king. The dueling duo spent the hottest months of the year getting less-important people killed in Penselwood, Sherston, Brentford, and Otford, towns whose names will forever be synonymous with the cruelty of war. After his defeat at the Battle of Assandun and the subsequent peace treaty forcing him to share power with Cnut, we all hoped Edmund would finally find a peace of his own—if only for the sake of the other people killed in his wars. Instead, he died in November, paving the way for Cnut’s embarrassingly ostentatious Christmas Day coronation as king of all England. Death comes to all men, of course, but couldn’t it have come to Eadric Streona first? Nameless peons are hacked to bits in this terrifying science-fiction embroidery from Bayeux, set 50 years in the future. From the thousands killed in Shiite rebellions in Ifriqiya to the thousands more killed at the Battle of Assandun to the people we actually knew in daily life, 1016 was a bad year to be a noncelebrity. As Óttar the Black wrote in his Knútsdrápa—the skaldic poem we simply couldn’t put down this year, even if it was written by a Cnut supporter—“Brown was the flesh of bodies/Served to the blood bird.” Óttar was writing about Assandun, of course, but the blood bird ate well all year, striking down the poor and unpowerful left and right. Sometimes they met violent ends, sometimes they battled ailments beyond the power of any leech or trephine to cure, and sometimes they just died. And don’t get us started on women, who we assume also did things this year, including, in some cases, dying. Though we won’t waste any time recording these people’s names, deeds, or thoughts—if God wanted us to write about them, he would have made them rich, male, and royal—they’ll live on in our hearts for a thousand years.